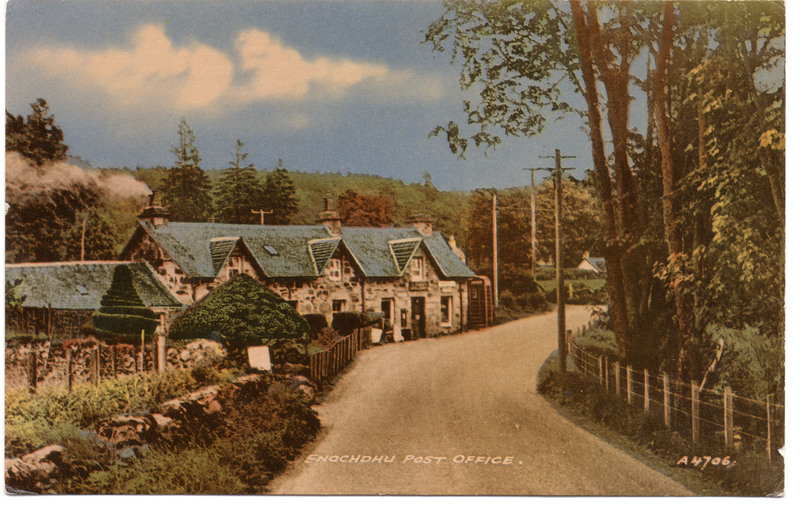 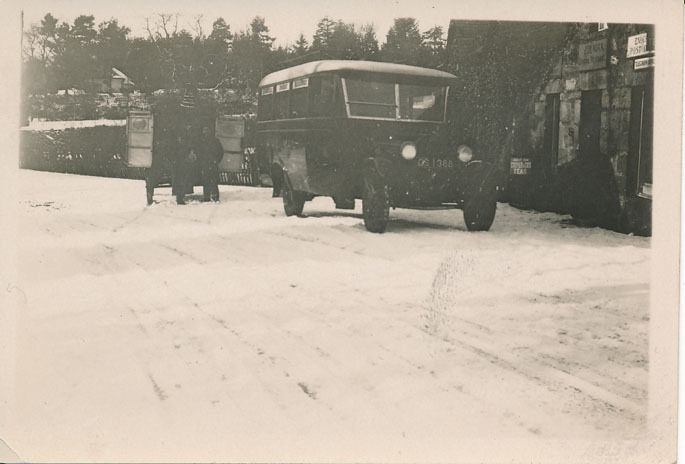 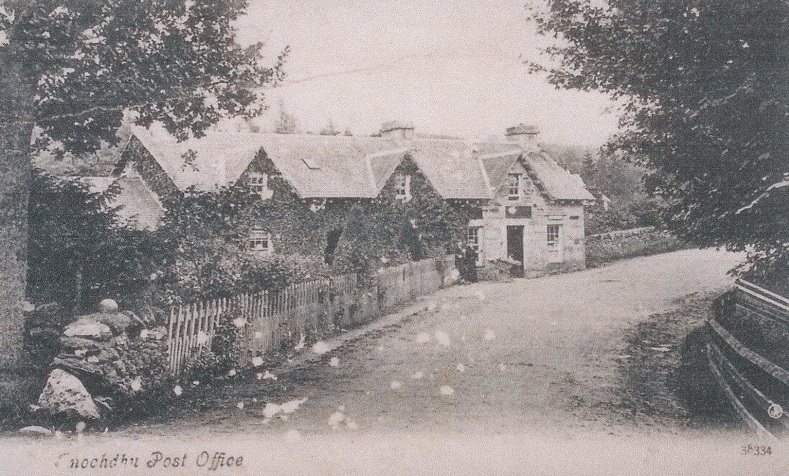 For many years the Enochdhu Post office was also a grocery store. 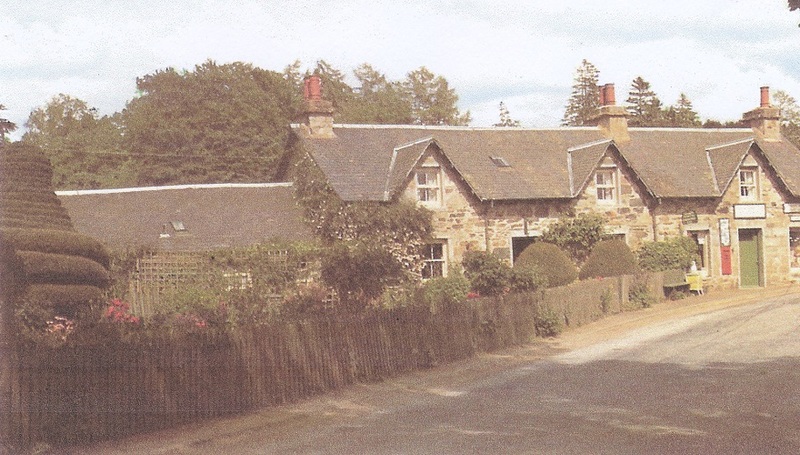 It is now a private house, but with the telltale red telephone box outside. 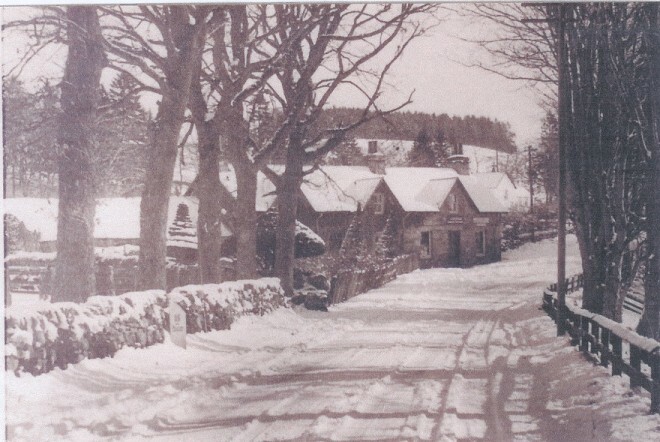 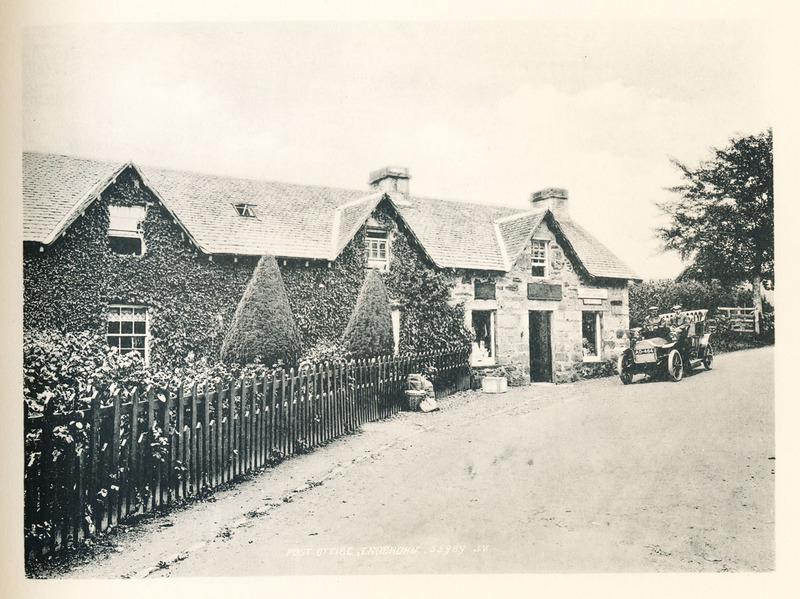 Sheila Ferguson was brought up at Enochdhu Post Office, and it is possible to hear her memories in our oral section here.